Claire is a Senior Associate in our Personal Injury and Medical Negligence departments and manages a range of complex medical negligence cases, including those involving orthopedic, surgical + brain injuries. She also undertakes inquest work. She has a particular interest in bariatric surgery claims and patient rights, as well as experience in working with vulnerable clients who have suffered significant psychiatric injury. 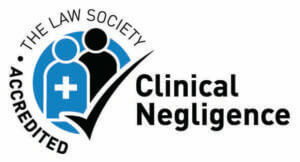 Claire is an accredited APIL litigator, a member of Bristol Law Society and the Human Rights Lawyers Association, and a panel member of the Law Society Clinical Negligence Accreditation Scheme. I found Claire Levene to be very helpful and knowledgeable. She dealt with my case professionally, considerately and with empathy, as I was very often in bits. It was her strength that helped me and kept me going at times of me wanting to give up.